A thick, smooth gel allows patients to easily swallow tablets, capsules, and powders, ensuring smooth passing through the esophagus. The ARKRAY (Kyoto, Japan) Assure Slide Swallowing Aid is designed to address the needs of the estimated 15-33% of long-term care residents or other persons who have some level of difficulty when swallowing tablets or capsules. Assure Slide moistens the mucous membranes in the mouth and throat cavity, thus allowing tablets to easily pass through to the stomach, where they can be digested. Assure Slide breaks down immediately inside the stomach and does not affect the absorption rate of the medications. Image: A novel swallowing gel helps those with difficulty swallowing medicine (Photo courtesy of ARKRAY). 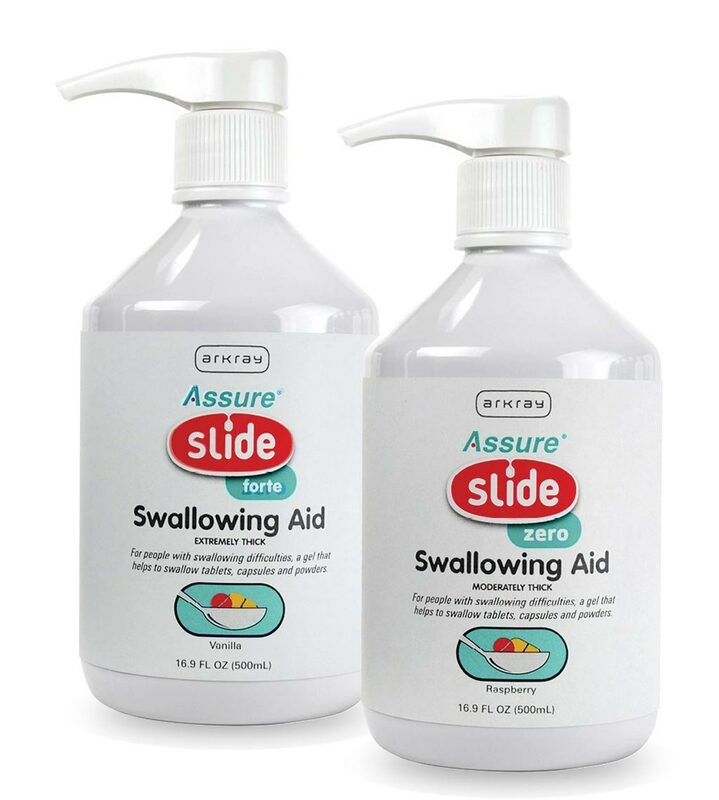 The swallowing aid is offered in two forms; Assure Slide Zero, a sugar-free moderately thick gel with a pleasant raspberry flavor that is designed for those individuals with slight to moderate swallowing issues; and Assure Slide Forte, an extremely thick gel with a pleasant vanilla flavor that has been designed for those with more acute swallowing difficulties. For both formulations, approximately one teaspoon of Assure Slide gel is placed on a spoon, along with one or more tablets. Swallowing oral medications in the form of pills, tablets, or capsules presents a challenge for many, with about 40% of adults in the general community experience problems swallowing pills, 14% disclosing that they had delayed taking a dose of their medication, and 8% reporting they had skipped a dose. Such poor compliance with oral medication regimens may be even higher patients with dysphagia, leading to increased morbidity and mortality. Healthcare providers therefore need to find methods to effectively deliver oral medications to the swallowing-impaired patient.